As more people transact banking and business online, experts raise questions about security from hackers targeting the continent. Amid global alarm about cyber theft, authorities warn that banks and other businesses and institutions in Africa are increasingly vulnerable to online fraud and theft. African and international cyber security experts, including representatives of government and the United Nations, will gather in Nairobi in June to discuss online threats and how to fight them. As more Africans use the internet, businesses and governments are providing more transactions and services online. But experts are raising questions about whether those sites are secure from cyber criminals. Many small and mid-sized businesses cannot afford expensive security measures such as firewalls and malware protection while governments also use templates to build their websites, which cost less but may also be more vulnerable to attack. Kenya, Nigeria and South Africa are among African countries that have already suffered millions of dollars in losses to cyber crime. Nigerian officials estimated the country’s institutions lost $630 million annually to cyber attacks, theft and software piracy, nearly one percent of the country’s gross domestic product while online bank fraud more than doubled. Nigeria’s new Cybercrime Advisory Council, established through 2015 legislation, is charged with promoting information sharing and making recommendations designed to improve cyber security. The country’s National Cybersecurity Policy and Strategy outlines the legal, technical and institutional systems that will be required to fight cyber-attacks in Nigeria. In Kenya, authorities said online thieves took about $150 million in 2014, as cyber crime in that nation tripled over 2013. A 2015 report noted that 25 percent of Kenya’s internet users are unsupervised teens that may be exposed to cyber crime. One expert said many businesses in Kenya lack the resources and access to IT expertise they need to protect their online platforms. Rutendo Hwindingwi, division director for Sage East and West Africa, said businesses need to implement firewalls and use anti-malware tools and have access to IT specialists who can quickly respond when applications or operating systems are attacked. The Communication Authority of Kenya in April put out a call for tenders a study of e-commerce and cyber crime detection and prevention in the country as the government attempts to develop a strategy to fight cyber crime. The authority said it had set up a team to monitory cyber attacks, especially those that target government systems. 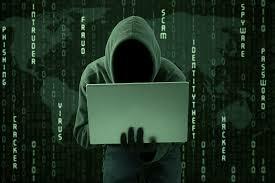 South Africa has seen cyber crime losses totaling about $65 million, according to one estimate. The South African Bank Risk Information Center recently warned bank customers to pay more attention to security, especially on mobile phones. The center’s chief executive, Kalayani Pillay said protecting electronic devices is critical to reducing the risk of being victimized by cyber crime. Phillay said malware and phishing attacks were on the increase in South Africa, including efforts to target accounts of corporate executives to move large sums of money. The country’s wealth and particularly its relatively high gross domestic product per capita made it attractive to cyber criminals, she said. Banks continuously update cyber security measures, but criminals come up with new ways to steal from customers, she said. The risk will grow as more bank customers migrate online, especially banking on their smart phones. The warnings come against a backdrop of global concern following two large heists this year at Asian banks. In February, hackers sent more than 30 fund transfer orders totaling $950 million from Bangladesh Bank using Swift, a global money transfer system. The thieves successfully transferred $81 million to accounts in the Philippines. In May, Swift revealed another heist had taken place prior to the Bangladesh theft but had only been revealed by the second bank, which one researcher said was in Vietnam. The amount of the theft was not released. Swift, with 11,000 member banks, processes 25 million messages each day to process billions of dollars in transfers. In each case, Swift said the cyber thieves bypassed security controls at the local banks to request the transfers. As concern grows on the continent, the African Expert Convention on Cyber Security, June 22-23 in Nairobi, will bring together experts from government agencies, the United Nations, corporations and investors to discuss strategies for fighting cyber crime. Organizers hope the event will enable participants to share expertise from different sectors and create partnership frameworks for enhancing cyber security. Participants will also learn the latest technical tools available to protect against cyber threats.